Cost to install a steam shower varies greatly by region (and even by zip code). Get free estimates from plumbers in your city. Cost to install a steam shower varies greatly by region (and even by zip code). The average cost of installing a steam shower is $6,000. How much does it cost to install a steam shower? Steam showers are popular additions to many bathrooms. Adding a steam generator to a shower allows you to sit and relax or bathe and shower as you normally would. Steam can be added to numerous shower types and styles and enhances the use of the room. There are many ways to create a steam shower, from having adding a generator and door to your existing shower to installing a pre-plumbed unit. The average homeowner building a new porcelain-tiled shower with a steam generator and a glass shower door can expect to spend about $6,000 for the entire project. Adding a steam shower is one way to create a luxury spa experience in your own bathroom. Steam improves circulation, opens and cleans pores, relaxes the user, and can increase the resale value of your home. Steam showers, however, are not a good idea for children or pregnant women. Porous materials in the shower, including the grout 1 in some cases, may absorb the steam easily, meaning any impurities in the water will absorb into and stain the surround. Steam showers also need to be cleaned frequently and are not always the best choice in an area with a lot of humidity. For homes with low water pressure, wells, or with small hot water tanks, a steam unit can be a good alternative to jetted showers and soaking tubs for providing a luxury feeling in the bath. Technically, you can add a steam unit to any existing shower. In this case, the only thing left to do is to seal up the door so that the steam does not escape. In most cases, however, a new shower is typically built with steam in mind. There are several ways of doing this as well as many types of steam showers to consider. Unless you purchase a prefab unit, which has an acrylic surround, you have many options for the surround and base of your steam shower. In most cases, homeowners opt for tile because it provides the most customization. It is possible to tile a built-in 2 bench and base, use a combination of an acrylic base with a tile surround, or purchase solid wall panels. Natural stone is not recommended for use in a steam shower surround because it is porous and will absorb the steam. If your water contains impurities, it will stain the stone permanently. Some stones, such as Bianco Carrara, contain high amounts of iron and will rust over time. Any green-colored natural stone will begin to flake and peel after being exposed to the steam, and no amount of sealing will prevent this. 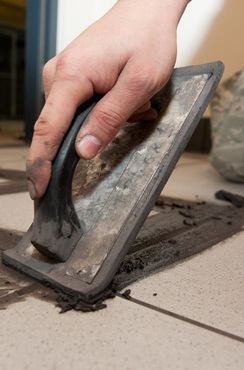 Finally, the steam being absorbed into the pores of the stone can cause bacteria to grow. This may result in slimy walls or lead to health issues. Always use a nonporous material for the shower surround to avoid these issues. Steam showers can be made in any size or configuration as a standard shower can. This includes curved, neo-angle, square, or rectangular. Because most people want to sit and relax while steaming, a rectangular shower with a built-in bench is the most common style. The shower must be sealed off, so the fewer open walls you have the better. Most steam showers are alcove-style installations with three solid walls and one glass wall. The shower door is an integral part of your steam shower. For the shower to be effective, it must be sealed to keep the steam in. So, the door extends from the floor to the ceiling and must shut tightly. Many shower doors include a panel across the top, which may have a transom door set into the center. Opening this small door lets some steam out of the top so that you can shower after your steam without fully opening up the shower. Because a framed door may corrode when exposed to steam, most steam shower doors are frameless and may be pivot, sliding, or fixed-panel. 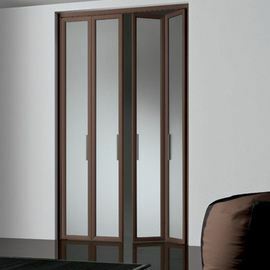 Bi-fold doors 3 are less common but can be used in some corner or neo-angle showers. The important thing is that the door should completely fill the space and seal the shower. Expect the door to range from $800 to $2,000 at a minimum. The larger the opening and the higher the ceilings, the greater the costs. You need a steam generator installed to operate your shower. Because the generator is usually located in the wall behind your shower, the only visible parts are the control panel on the wall and the steam nozzle, which is usually located near the floor of the shower. The size of your generator has a direct impact on the total cost of the shower. To find out what size you need, first calculate the cubic feet of your shower by multiplying the depth, width, and height. For example, a 5x8x8-foot shower has a cubic foot size of 320. Then for every outside wall your shower abuts, multiply this number by 1.1. Next, consider the shower wall material. For ceramic tile multiply by 1.3, for porcelain multiply by 1.6, and for glass multiply by 1.35. For a 5x8x8-foot shower with porcelain tile and one outside wall, the total cubic foot measurement is 563.2. So, select a generator that falls into this range. Installing a steam shower is a lot like installing any other shower. The plumbing is roughed in, and the walls are waterproofed, covered in cement board, and then tiled or covered in wall paneling. The finish plumbing is installed over the top. When adding a steam shower, the process is just about the same. The generator is installed in the walls with the rest of the plumbing before the finish work is done. The nozzle is extended through the surround, and an electrician hooks up the control panel, which may be located inside the shower or just outside it. Finally, the doors are installed. For prefab units, the plumbing is roughed in, and then the entire unit is installed and hooked up together. The finish pieces are generally already in place. Labor costs vary depending on several factors including whether the unit is prefab or custom, the size, and the materials. Labor costs start at around $1,000 for a prefab unit and $2,000 for custom units. For an average 5x8x8-foot unit with porcelain tile and a hinged 4 shower door, the total costs are around $6,000 with labor costs making up about $2,500. Many people use steam showers as a way to relax, but they are not the only style that can achieve those goals. A jetted shower or a shower with body sprays can also be a great way to relax. A jetted shower requires a steady supply of water as well as a 75-gallon or larger hot water tank. It also needs specialty plumbing, including a pressure balancing loop and a minimum of three jets. If you have well water, poor water pressure, inadequate space for the plumbing, or a small water heater, a steam shower can be a good alternative to a jetted shower. Jetted showers are designed for faster, more energetic results while steam showers are meant for sitting and relaxing. Steam showers can have some health drawbacks like overheating. Jetted showers do not have these concerns, and they also offer a massage to muscles. When comparing a steam shower to a jetted shower, steam showers are less expensive if all other things are equal, such as the size, tile, surround, and doors. Because steam showers are designed to be used for extended periods of time, most include a seat or bench. A removable shower seat costs less than $100, a fold-down seat costs about $300, and a built-in bench tiled with walls costs roughly $200. Many steam generator manufacturers offer a remote control option to control the steam. While all units have a wall-mounted panel, you can add a remote control for another $200. To further increase your relaxation, some homeowners install chromatherapy lights in the shower as well. These lights come in different colors and help energize or relax you even more. Chromatherapy lights cost around $500 to add. Some systems also allow you to pipe music into the shower. Many include a Spotify account for customizing a playlist, while others simply let you stream through your smartphone to a speaker. These systems start at $500 but can go as high as $2,000. If you have minerals in your water, these can build up, which can cause the unit to clog over time. Some units have an option for automatic flushing to help clear the line after use. Some units include this option at no cost to you, while others add $100 to $300 more. If you shave in the shower, an anti-fog mirror may be beneficial if you use the steam option at the same time. These mirrors start at $50. Some steam generators inject the steam forcefully into the shower, which can be dangerous. This is why the jet should always be installed near the floor, away from any seating. In some showers, you may need to be careful with placement to avoid scalds. If you want to update an existing shower, the costs are around $1,430 to retrofit with steam. A separate, performance-style shower, which may include multiple body jets, showerheads, or steam, is often preferred over a jetted tub. For homeowners who cannot install jets, a steam shower can increase the resale value of the home and accomplish many of the same goals. Several companies sell steam generators. Steamist, Elite Steam, ThermaSol, and Mr. Steam are all good options to consider. Steam showers are not recommended for children or pregnant women. They can cause overheating and fainting. Steam showers do not burn calories. They cause you to sweat, which can cause temporary weight loss. It is recommended that steam showers be used no more than 1 to 3 times per week for 20 minutes at a time. Does a steam shower need to be enclosed? Yes, a steam shower must be fully enclosed to be effective. Can you add steam to an existing shower? ​You can, but the walls need to be opened to install the generator and a small hole made in the shower surround to accommodate the steam pipe. Yes, most steam showers are regular showers that are also plumbed for steam. No, saunas use dry heat while steam showers use hot water vapor or steam. How long should you sit in a steam shower? How much does it cost to install a steam shower in my city? Cost to install a steam shower varies greatly by region (and even by zip code). To get free estimates from local contractors, please indicate yours. 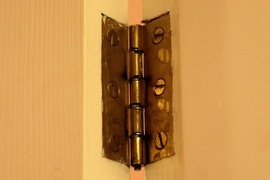 A door with panels connected by hinges, that slide along a track and fold together when opened. 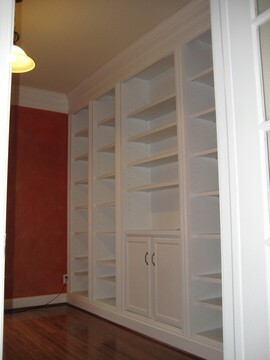 They are often used for closets. Cost Considerations: There is a wide range in prices for interior doors. A wood bi-fold door averages $125 to $175, which is on the cheaper end. Higher-end doors such as an aluminum barn door can be as much as $1,400.